www.scada-security.ca is live. 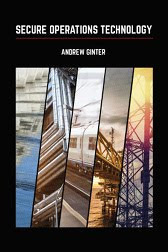 The site is focused on approaches to modern SCADA Security education. One of the things I'm doing at Waterfall Security Solutions, is working with a couple of different universities to add SCADA security content to their undergraduate and graduate programs. As those efforts bear fruit, I will be posting pointers here to different sorts of course content. 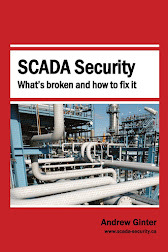 The SCADA Security site maintains a "reading room" as well, with pointers to recommended introductory material as well as deeper reading on selected topics. The reading room is not meant to be comprehensive, in the way that, say, the SCADAhacker site's list of everything SCADA-security is. The SCADA Security list is meant to highlight the most useful and representative educational materials, and position them within learning objectives. The hope is that once students, SCADA practitioners and IT/security practitioners have been through the reading relevant to their goals, they will be able to tackle something like the SCADAhacker's more-comprehensive list and be able to pick and choose from that list more effectively. FTR: the site is a work in progress. Feedback is welcome. If schools, researchers or training programs would like to request different kinds of learning materials, or work with us on curricula, please contact us. Copyright 2010-2019 by Andrew Ginter. Powered by Blogger.